If you're looking for the above qualities in a place to stay during your vacation, we would suggest that you consider SMILE BOUTIQUE. SMILE BOUTIQUE is a wooden house which is simply decorated to create sense of simplicity that brings you an amazingly peaceful atmosphere like living back in the old period of 50 years ago. Yet all necessary facilities such as laundry, bicycle, motorbikes and cars for rent with low rate are provided. Information regarding Thai cooking course and tour booking can also be obtained from our staff. SMILE BOUTIQUE is surrounded by the well-known silversmith and lacquerware community of Chiang Mai. This ancient community has been settled on Wua Lai Street since 1981 and has been conserved until nowadays. If you walk around there, you might now and then hear the sound of skillful silversmiths hammering their silvers. Other days you may spend your vacation by visiting the Chiang Mai Gate or shopping for some food stuff at the local market there in the morning in order to experience something different from those of convenience stores or supermarkets you're familiar with. 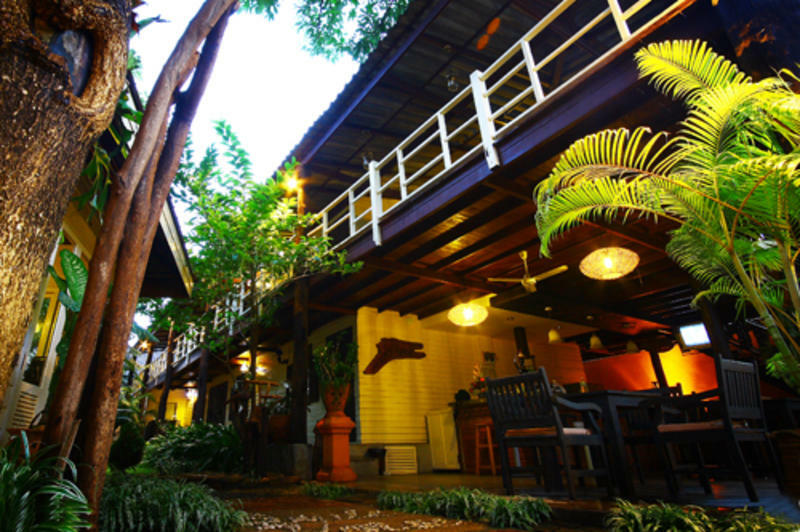 It will only take you five minutes to walk from SMILE BOUTIQUE to the Chiang Mai Gate area. SMILE BOUTIQUE - a peaceful and intimate place like your second home. Let us be one of your choices.